While Ben Lippen impacted me in numerous ways, the most important thing by far is that I decided to follow the Lord at Ben Lippen. It was actually my first year at BL (6th grade). I was a sheltered church kid, but I hadn’t really made my faith my own. It was a BL teacher investing in me and showing me what it looked like to live for Christ that turned the tables for me. His name is Ronnie Wilson. He was a coach and teacher in the high school. Undoubtedly, God orchestrated some incredible circumstances in order for our paths to cross. The result was me thinking, “If Ronnie is what it looks like to live for Christ, then I’m in.” That was the watershed moment for me. Fast forward almost 30 years and I’m in full time ministry and doing basically what I learned from Ronnie and the other staff at Ben Lippen. I show up day in and day out in the lives of high school kids. In doing so, I earn the right to be heard – because even if it’s cliche the truth is kids don’t care how much you know until they know how much you care. Then, I get the privilege of using the voice I have in their life to speak God’s truth and love. In reality what I’m talking about is not Ronnie’s model, my model or Ben Lippen’s. It’s Jesus’s model of doing ministry, and I’m so thankful that it impacted me all those years ago. It would be nearly impossible to quantify how different my life might look if it weren’t for my years at BL. 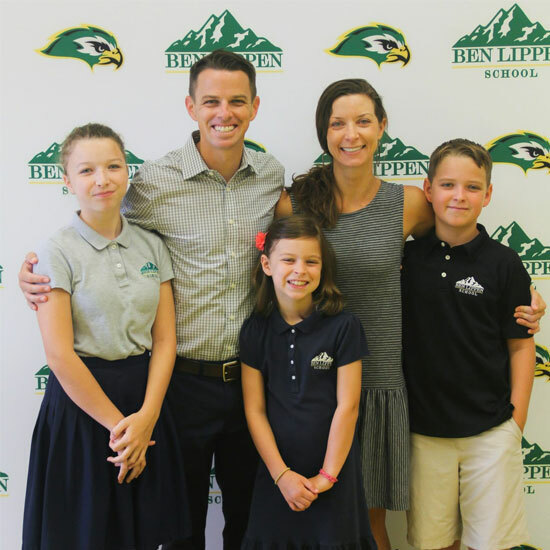 For that reason, among many others, I am now a parent of three Ben Lippen kids. Additionally, my ministry through Young Life is focused at Ben Lippen where I get to work alongside some incredible teachers, coaches and administrators to impact a whole new generation of BL students for the Kingdom. That’s my BL story boiled down into a couple paragraphs, but it’s not done yet! There’s much, much more to come, so stay tuned!